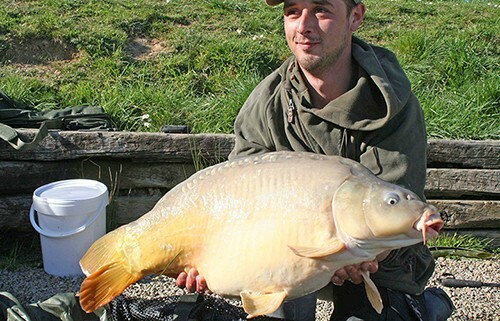 "Yannick Bunneghem and his father started their week from 04/04/2015 on Busters Lake. 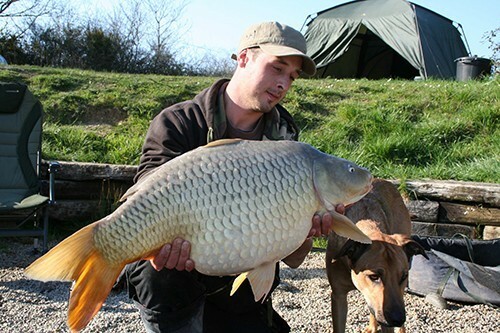 After no bites in 3 days they moved down to Alberts Lake where Yannick broke his PB with a mirror of 25kg caught on Giant maize.They had 8 carp in total including 2 x 18kg, 16kg, 14kg, 14.2kg and 2 smaller ones.We hope to have some photos soon! 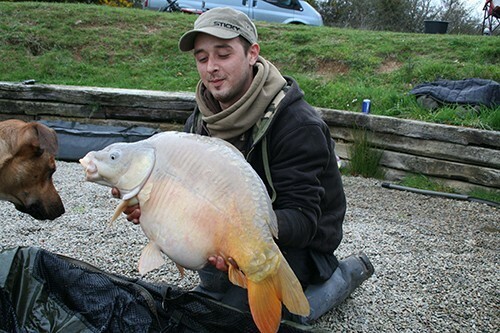 Frederik Vlamynck and Jean fished on Busters Lake from 04/04/2015 to 07/04/2015. With some strong NE winds and sunshine they caught 10 carp - 18.2kg,17.4kg, 14.3kg, 12.8kg, 13.3kg, 11.4kg, 12.6kg common,2 x 10.8kg and a 11.8kg mirror between them from swim 2."